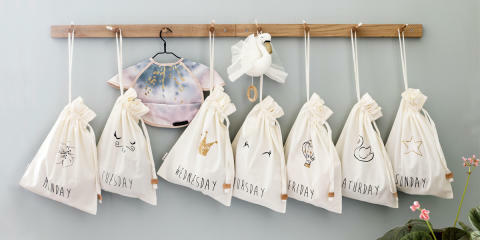 StyleMyWeek™ - 100% Organic Cotton Pouches, one for each day of the week. Do you feel like you've run a marathon by 9 a.m. every day? You're not alone. Mornings in a child’s home often involve a lot of rushing around, nagging, stressful conversations and outright conflicts. But there are a lot of little ways to make sure everyone is ready to go on time, and most importantly, leaves the house with a smile on their face... Read full article.